Traditionally, Chinese normally preferred new born babies to shave their head when comes to full moon and Wai boy is not exceptional. 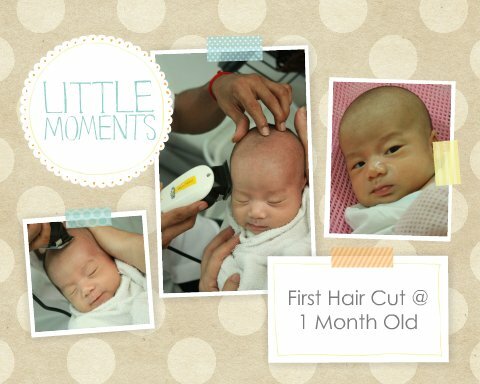 On 19 June 2013, which is three days before his full moon, we brought little Wai boy to one of the Indian barber shops near our house as early as 9:00am to have his first hair cut. Same as brother Kit boy, Wai boy had his head shaved using an electronic shaver instead of blade which Mommy always finds it much safer. Wai boy was very brave and did not make any fuss throughout the whole process; thus his new hair cut was perfectly done.